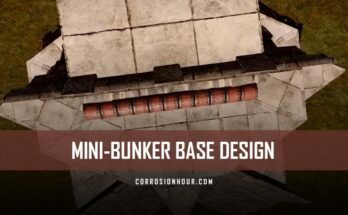 Our partner xRaw is back at it again, this time with the Strongbox Bunker Base Design. 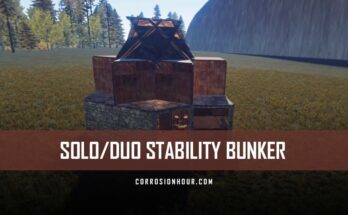 This RUST base design uses a deceptive and advanced bunker technique that can often trick raiders into thinking that the base has been raided or that the tool cupboard is walled off, often not making it not worth the explosive exploration. 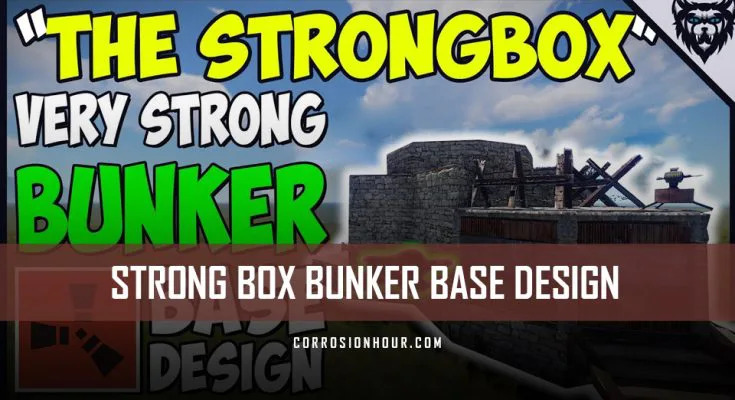 The Strongbox Bunker Base Design’s entry point allows for a wide visibility range of the main entry point. Deeper inside you’ll find garage doors used as the primary navigation method throughout the base. There are multiple un-lootable loot rooms and the decoy base in the middle of the base. Most raiders will attempt to get to this core to take control of the tool cupboard, but they’d be sorely mistaken as it’s hidden below the base in a bunker room. This base will cost raiders more than 150 satchels to raid the golden path to the tool cupboard, assuming they’re lucky enough to guess the location, but we wouldn’t bet on it. Perfect for basing up as a solo, duo, or even trio group, adding more honeycombing and entropy to the base’s design. So coming into the base here, we have a few garage doors to open up this area, as well as some metal shop fronts that you can see outside and your research bench. Coming through here is the middle of the base. There’s some shotgun traps here which are difficult to destroy and if you place a sheet metal door here it makes them a lot more difficult to destroy. There’s two un-lootable rooms in here with four boxes, six furnaces, another two boxes and a repair bench. Coming through here is the decoy core of your base, with your workbench, and lots of boxes and some furnaces. People will think your TC is here, but really it’s in the bunker below. To get into the bunker you need to press F1 and type kill. You’ll spawn into the bag underneath. In the bunker there’s plenty of boxes and furnaces where you can hide all of your good loot. As well as some bags and your TC which is extremely hard to raid. To get out of the bunker you remove this twig and jump out. If you do enjoy this video, make sure you like and subscribe to see more content.